The good folks at Disctek Media are bringing all 78 english language episodes in one volume. (Sorry Japanese sub fans, you’ll have to stick with Hulu for now.) 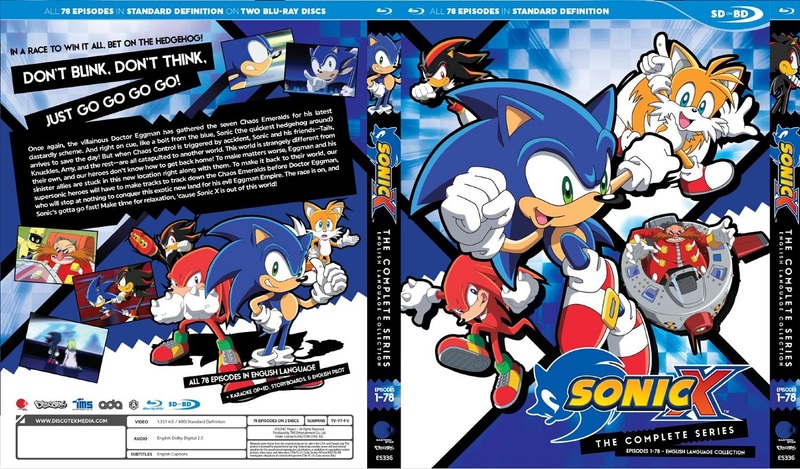 This includes the extras from the DVD version as well as the original pitch video where the world of Sonic X had a lot less humans. The Blu-Ray retails for $69.99, but you can pre-order it from rightstufanime right now for $45.47. Check out Brady Hartel’s Twitter for more info. In the meantime, here’s the cover.